The Nashville Sounds Baseball Club and ALT 97.5 are pleased to announce an extension as the team's flagship radio station for all 140 games during the 2018 season. The home for Nashville Sounds Baseball is part of the popular iHeartRadio cluster in Nashville. Other iHeartRadio stations in Nashville include The Big 98, 107.5 The River, and a host of others. "We're excited to have ALT 97.5 FM as the continued home of Nashville Sounds baseball," said Adam Nuse, Sounds General Manager and Chief Operating Officer. "We look forward to the iHeartRadio brand and personalities pushing Sounds baseball to Nashville and beyond." For the seventh consecutive season, the voice of the Sounds, Jeff Hem, will handle the play-by-play duties for all broadcasts. Hem will be joined by former Major League pitcher Kevin Jarvis for select broadcasts as the color commentator. The former Sounds pitcher appeared for 10 Major League teams during his 15-year professional career. 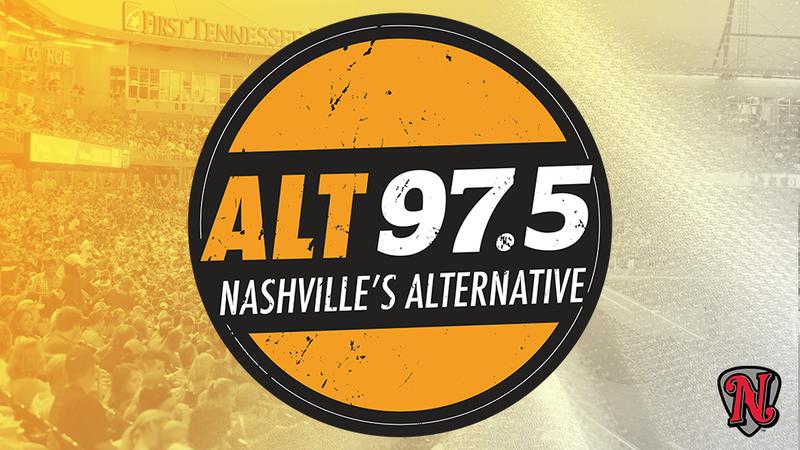 "We are absolutely thrilled to have the Nashville Sounds back on ALT 97.5 and on the iHeartRadio app for the 2018 season. We value our partnership and are looking forward to bringing the fans all the action wherever they happen to be," said iHeartMedia Region President Dan Endom. In addition to the 97.5 FM airwaves, all game broadcasts will be available on a live internet webcast at www.nashvillesounds.com, as well as the MiLB First Pitch app, the iHeartRadio app, and TuneIn radio app. Beginning Thursday, April 5 when the Sounds begin their 41st season in New Orleans, all broadcasts will begin with the Purity Dairies pre-game show 15 minutes prior to first pitch and close with a 15-minute Cook's Pest Control post-game show. The partnership will also include the annual broadcast of the Triple-A All-Star Game, which is scheduled for Wednesday, July 11 in Columbus, Ohio. The 2018 season will be the Sounds' 41st in franchise history and fourth as the Oakland Athletics' top affiliate. Opening Day is set for Thursday, April 5 when the Sounds begin the season in New Orleans. Opening Night at First Tennessee Park is scheduled for Tuesday, April 10 when the Sounds host the Iowa Cubs at 6:35 p.m. Season ticket memberships are available now by calling (615) 690-4487 or by visiting www.nashvillesounds.com.